To enjoy the best of these 4 universes, take advantage of our “Moments”, gourmet pleasures for when the mood strikes, around the clock. The choice is yours: breakfast, brunch, tea time, the Oyster Bar… or all of the above! 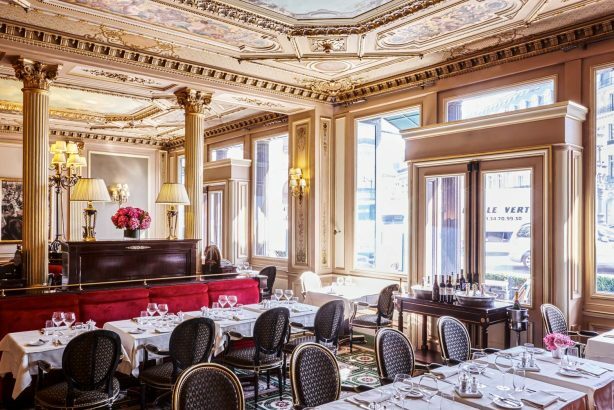 After a ballet at the opera house or a theatre play, the Café de la Paix is the perfect venue. 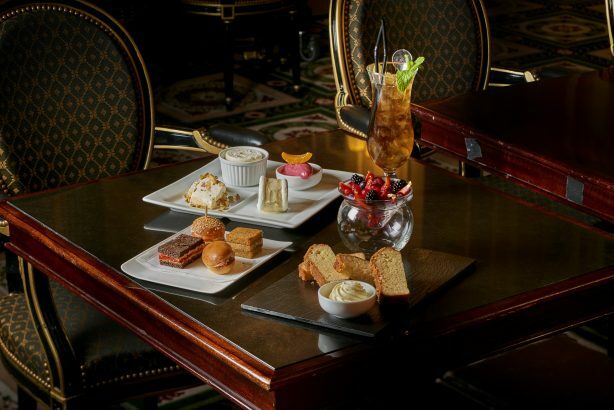 A spot steeped in history and the magic of great French cuisine that highlights local fare. 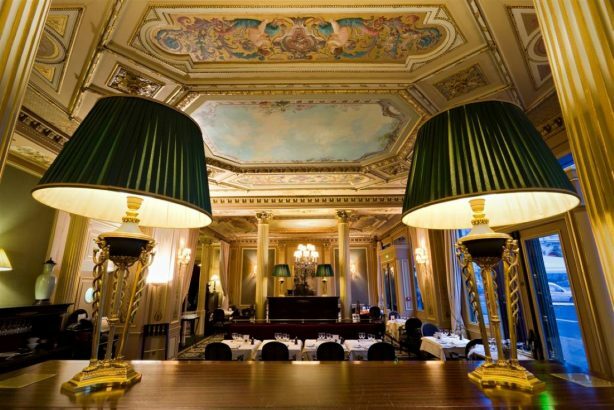 Fluted marble columns, mahogany buffets, historical landmark frescoes, gilding, large mirrors, candelabras and period lamps all make this institution an exceptional setting. 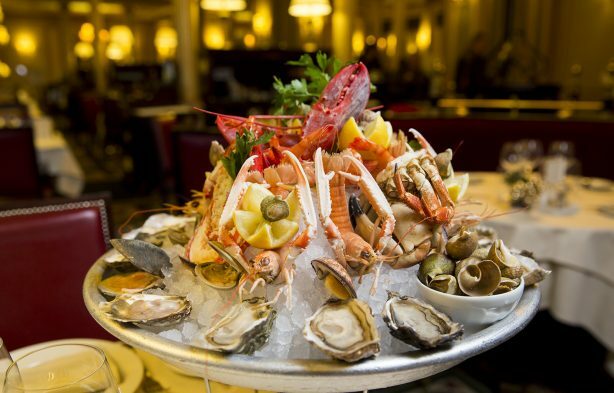 Heed the call of Chef Laurent André and the famous Café de la Paix millefeuille pastry, get a taste of the ocean with the seafood at the Oyster Bar or experience the charm of lunching on a Parisian terrace. Two rooms (Café Opera & Carré Opera) available for privatisation. 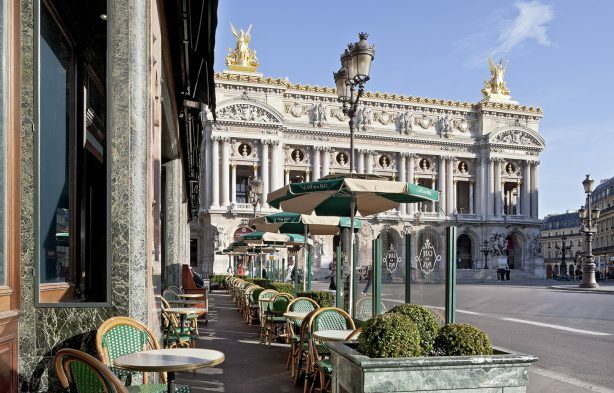 The Café de la Paix terrace offers a unique view of the Garnier Opera. Experience an exceptional moment in an iconic Parisian venue. The great brasserie classics are all on the menu: Cesar salad, club sandwich, croque-monsieur and even fish & chips. A spacious winter garden, the Verrière covers 800 sqm. Seating is bathed in natural light under the vast metallic atrium, similar to the Grand Palais, and enhanced with giant ficus plants, white orchids and lights reminiscent of Parisian passageways. Artfully arranged tables and armchairs are invitations for two, three or more to gather. Soothing tranquillity right in the centre of Paris! 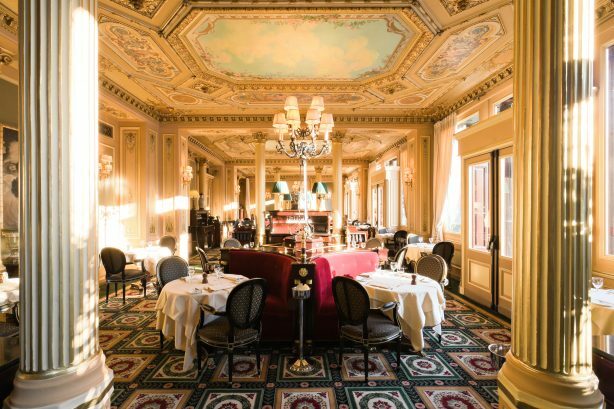 Savour the serenity of the Verrière over a coffee, light lunch, something sweet from our dessert menu or a relaxing aperitif… And in the evening, you’ll find a more intimate atmosphere in the gentle glow of the large central chandelier. 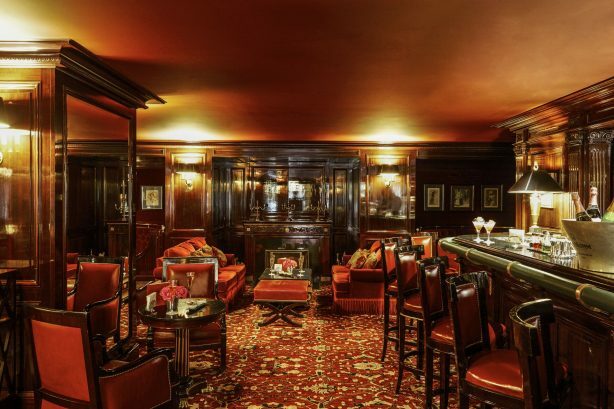 Settle comfortably into a Club chair and let the cocktail menu take you on a flight of fancy. Our head bartender will be your guide, inviting you to relax with the creation of your choice while listening to our pianist Bernard Bosch from Thursday to Saturday. Do you dream of absolute serenity and ultra personalised service? Look no further. 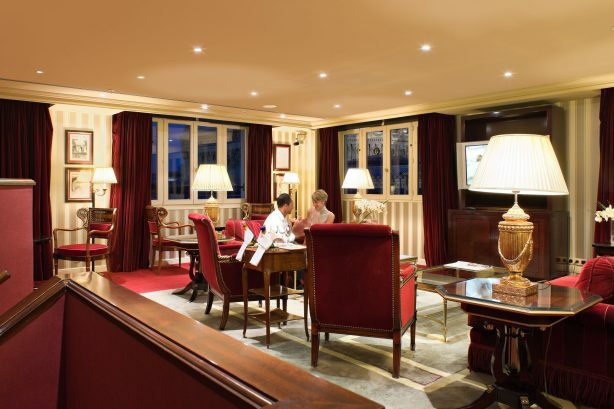 The Club Lounge is the epitome of quiet and comfort, at the heart of the hotel, in the refined and very elegant atmosphere of Napoleon III. Wrap yourself in a marvellous mantle of calm. 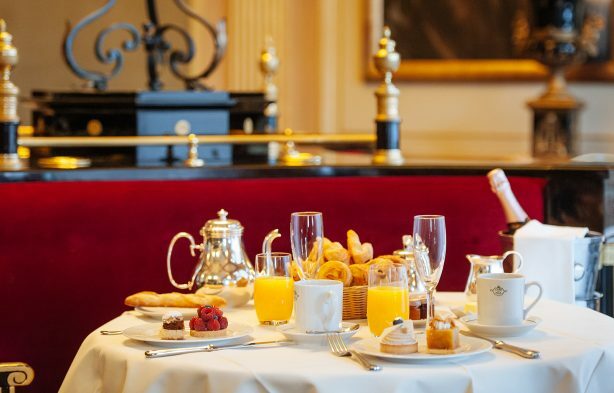 Start your day with a delicious breakfast and–why not– a glass of champagne. 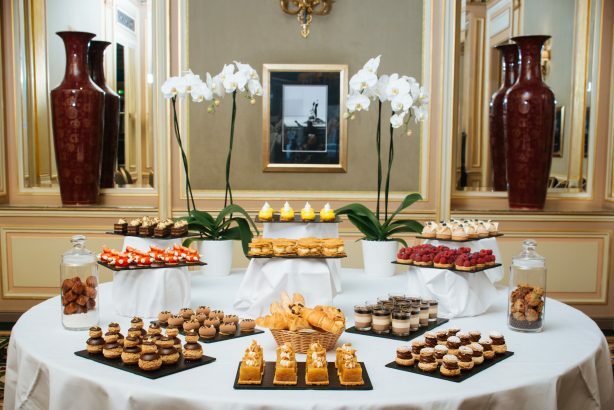 Enjoy our cold buffet at midday, indulge in our delicious pastries come tea time and opt, in the evening, for a light supper.